Peugeot knew it had a quality problem. ‘Our vehicles tended to deteriorate faster than the competition,’ admits Christoph Patois, Peugeot’s vice president of reliability and quality in use. His prosaic job title embodies Peugeot’s desire to transform its vehicle quality from flaky to industry-leading in a decade-long push. This initiative covers all aspects of the development process and starts with the car’s building blocks, its components. No surprises there. 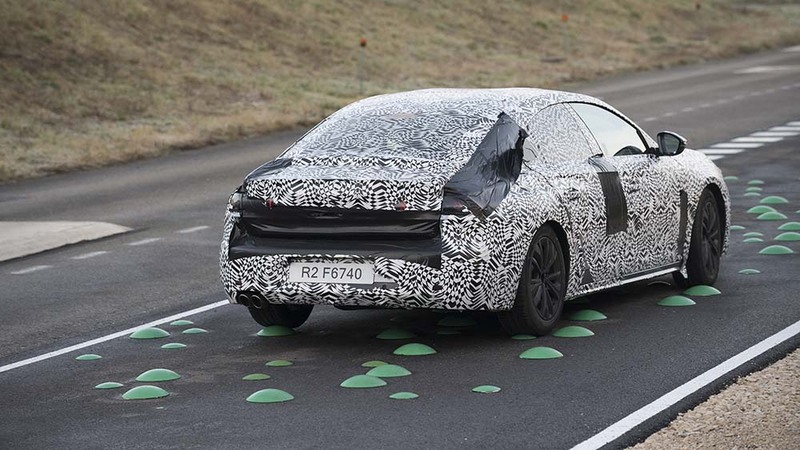 But the rigour of the 508’s quality boot-camp amazes: more than 2.5-million kilometres of punishing prototype-testing on roads, tracks and test jigs, in all weathers and temperatures ranging from –40˚ to +50˚. Regular and forensic examination of these prototypes, from their physical appearance to functions such as door opening and Bluetooth connectivity, are key stages to ensure quality is on track. All the while, the factory – Mulhouse in eastern France for the 508 – must assimilate new processes to manufacture the car’s new engineering methods. CAR was swept inside Mulhouse and the secretive Belchamp R&D base, to witness first-hand seven critical steps in the 508’s quality drive. Bastien Richard is our driver in the 508 prototype, covered tip-to-tail in zebra markings, just 649km showing on the clock. It’s one of a fleet of test cars that will rack up 45,000km in just 31 weeks, the equivalent of three years’ driving and 60,000km in customers’ hands. Three times these cars will be stripped down, and components’ durability analysed. Richard’s playground is Belchamp, an automotive torture chamber equipped with murderous topography: ramps, metal bars, holes and medieval cobbles punctuate the tarmac, while fierce inclines strain transmissions and hill-holding systems. ‘The goal is to drive in severe conditions!’ says Richard sadistically, before bumping the 508 around a loop. Despite the wiring and laptops, human beings are pleasingly central to the process: Richard listens intently for squeaks and rattles from the dashboard, door trim or boot area, as he drives over high frequency undulations ‘to excite the car and detect all the noise we can’. Any creaks and rattles are noted and shared with the engineers. Then it’s a brisk run over a kilometer of cobbles, so fierce that the glovebox wobbles in its mounting. Neighbouring dashboard parts are littered with differently coloured stickers. Each shade denotes a different generation of parts: some are on their sixth or seventh iteration, as Peugeot strives to meet customer expectations. The 508 breaks new ground: it’s the first Peugeot that has its chassis parts bonded together, as well as welded. This technique, adopted from premium car makers, crucially makes the fastback stiffer. ‘The welding and bonding process enhances body rigidity,’ explains Christoph Patois. ‘When you subject the body to torsion, if the body is rigid there are fewer movements, fewer vibrations, and that’s important to reduce noise.’ A solid structure also crucially provides a consistent base for the suspension, making it easier to tune the 508’s handling responses. Sparks fly in the Mulhouse factory as the bonding robots work alongside the automated welding arms, taking it in turns to apply glue and weld the steel to construct the body. The robots, equipped with cameras to check the glue is being applied correctly, perform their whirling do-si-do, joining beams and sections. 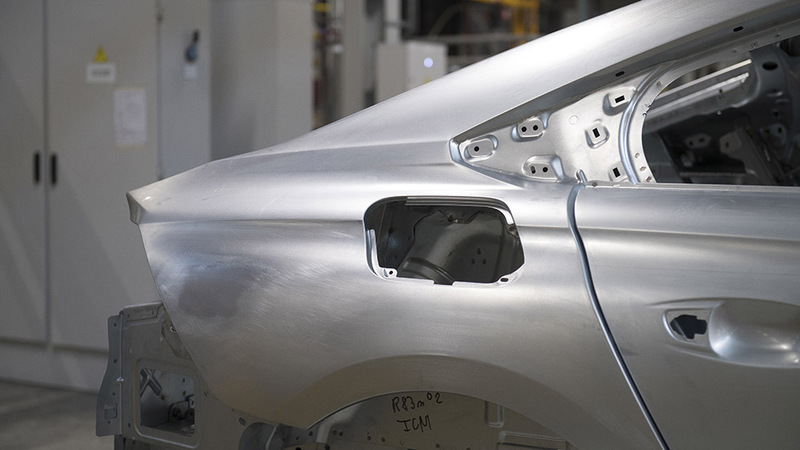 In body assembly, each stage takes exactly one minute so the body progresses at a steady rate: all told, 24-metres of glue will be dispensed to bond the car’s base. Christoph Patois’ ‘quality in use’ team obsess about eliminating those squeaks and rattles that can driver owners mad. They measure a car’s condition at new and then over time, to see how the vehicle is ageing. ‘Customer expectations after three years is for a quality level close to brand new!’ reports Patois soberly. That’s the zero-tolerance standard to which Peugeot aspires. They log defects in appearance such as scratches and panel gaps, the functionality of components and mechanical performance. And they carry out the same assessments on competitor cars too. Volkswagen and Audi have long set the standard, but recently Honda and Kia models have been added as the benchmark for Peugeot’s new SUVs. And the team’s yardstick for Project R8? The new Volkswagen Arteon. ‘One important thing is noise reduction,’ asserts Patois. Eliminating parasitic noise – buzz, squeak, rattle – is like that hoary old adage, painting the Forth Bridge: suppress one sound, and another one may become apparent. The dashboard is potentially a big source of parasitic noise. Peugeot commissions suppliers with strict guidelines on robustness, then works hard on fit and finish. ‘The idea is to avoid any gaps that generate movement and can lead to dilation. Adjoining materials must be compatible – two leathers will generate friction, for example.’ Any defects are fed back internally to improve the procurement process – and to suppliers to make amends. Open and shut, open and shut, a man in a grey lab coat repeatedly tests the action of the 508’s passenger door. Welcome to the quality measurement bunker, where the scrutiny is as forensic as at a crime scene. Xavier examines the door’s appearance and scratch resistance, the consistency of panel gaps, the functionality and fastening, then the look and robustness of the door trim. He’ll even listen to the noise the door makes. Like a gaoler’s set of keys, Xavier carries wooden gauges to assess panel gaps, and a transparent stencil grid to lay over defects to measure their size. Any imperfections are logged in a shared database. And that’s just the door. Next up is the dashboard, then Xavier will test the electronic functions: Bluetooth connectivity, GPS, Wi-Fi and so on. Checking an entire car takes up to three days, and the process can be repeated four times: at new, then at 15,000km intervals. It’s clear you need one key attribute to work in quality measurement: the patience of a saint. The 508 jiggles and bounces on four hydraulic jacks, one hammering away under each wheel, to simulate the car speeding along a bumpy road. Welcome to Belchamp’s climatic chamber where intense lights above the car simulate the ageing effect of sun on paintwork. Cars can be pounded around the clock, in temperatures from –40˚ to +50˚, with variable loads on board. The climatic chamber is a powerful tool early in the prototype process: six weeks can rack up the equivalent of 240,000km of driving on test tracks, before the car is dismantled and parts analysed. Back in the factory, Jean-Paul is fretting on the final assembly line. Unusually, the 508 has frameless windows, and Mulhouse is blooding new systems to make sure they’re watertight. Technicians gather around the car at the head of the queue, systematically checking that the sideglass is in alignment with the seals, before sending the car through a spray booth. It passes. So it’s onto more tests – to check the wheel tracks are parallel, anti-lock brakes work correctly, put the engine on the dynanometer – 1500 control points are assessed during a 40-minute inspection. At this moment in January 2018, just 10-20 pilot production cars are assembled each week. But the Quality in Use team is at a crucial staging post: next week Christoph Patois presents the quality results so far to PSA Groupe’s executive committee, including chairman Carlos Tavares. ‘That will decide whether we’re ready to launch series production,’ he confides. Sixth months later, 508 production will have risen to 120 cars a day, with 200 the next target. The quality team will have completed three cycles of destruction tests. Then it’s all about piling the kilometres onto 200 finished 508s. Employees will use them as their daily runabouts, noting fuel economy, fitting child seats, loading the boot – and providing this real-world feedback. For the 508 quality programme is coming to the end of the road, and it’s a long one – all told, the prototypes will have racked up a staggering 2.5-million test kilometres.